Stelvio Massi takes over directing duties from Umberto lenzi in the sequel to the previous years Il trucido e lo sbirro with Luc Merenda replacing Claudio Cassinelli as the brash cop on the trail of a gang of killers. 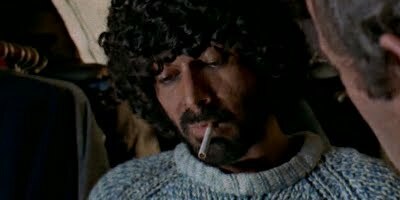 Tomas Milian returns playing the Monezza/Trash character, though a lot of his scenes in this which entail giving advice to his infant son are somewhat superfluous to the plot giving the film a somewhat disjointed feel in places. Regardless, Milian could read the phonebook and would remain entirely watchable but the character would get better service in Lenzi's Brothers Till We Die the following year. Writer Dardano Sachetti stated that most of his script was re-written by Massi and Milian on the set and the disjointedness in Milian's scenes and the rushed production schedule make for an enjoyable but unremarkable entry in the Poliziotteschi genre. Though no car chases, there are plenty of shoot-outs, bloody squib action and pool hall fights to satiate action fans and Massi's snap zooms get a good showing here too but overall this is inferior to it's prequel. Still, enjoyable for fans of the genre.